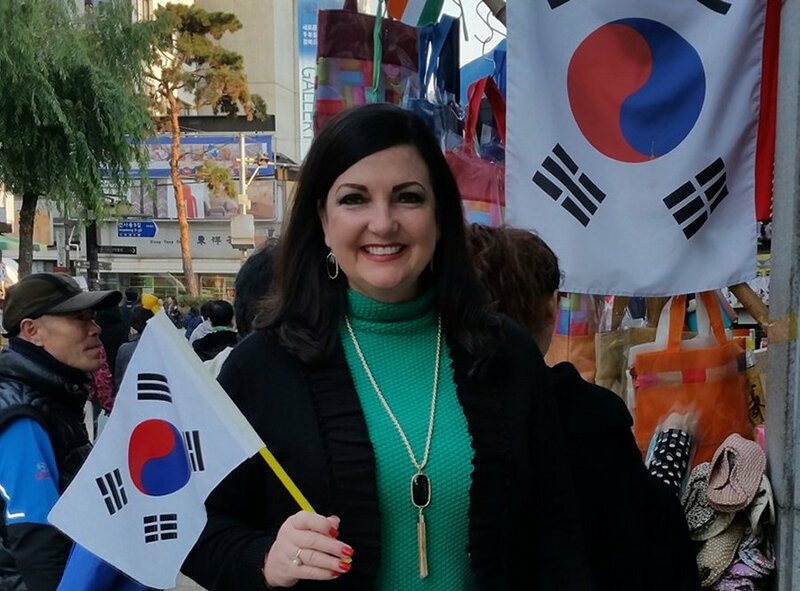 World traveler Terri Guthrie in Seoul, South Korea. I love Seoul, South Korea! It is truly a mega city, the world’s fourth largest metropolitan area with over 25.6 million people, but the people are warm and always helpful. Most of the people speak English, especially the younger generation. Of course, you can hear American music everywhere you go. (I always find that amusing when traveling internationally). Around every corner is a new adventure or something exciting to explore and experience. There are so many nice hotels to pick from. On other visits we stayed in American owned hotels but this trip we stayed at the Metro Hotel which I would certainly recommend. Great location, clean, great breakfast and outstanding staff! Everyone in Seoul goes the “extra mile” to make their visitors feel welcome and safe. It’s a city that’s really easy to get around in, my preference was the amazing, state-of-the-art, impeccable subway. It’s the best subway system I’ve ever seen. And I always felt safe, not only on the subway but anywhere I went. They actually have “tourist police.” If there’s any problem at all you can contact them. Phone numbers are posted everywhere and they are also patrolling around in their “tourist police” uniforms. What a great idea!!! Other countries should do the same! Part of what makes Seoul great is its eclectic mix of old and new, but to immerse yourself in one of the city’s few remaining traditional neighborhoods, spend an afternoon wandering the streets of Bukchon Hanok Village. Tucked behind two of the city’s historical palaces, this area dates back to the Joseon Dynasty, which ruled the Korean kingdom for 500 years until 1897. The traditional stone and clay houses have been preserved and reconstructed, and now house upscale boutiques, small museums, cafes, and some traditional-style guesthouses. The neighborhood’s scenic location on the steep hillsides in the northern part of the city affords great views of Seoul. We actually took a cooking class in this neighborhood inside of one of the homes. It was quite a treat. The continued conflict with North Korea is an unfortunate part of modern-day life in South Korea, but a trip to the DMZ offers important insight into the ongoing situation. The USO based out of Camp Kim in Seoul offers tours most days to the DMZ with stops at the Third Infiltration Tunnel, one of four known tunnels that connect North and South Korea, and the Dora Observatory, where you’ll be able to get a glimpse of North Korea across the DMZ. Be sure to book the tour that includes a stop at the Joint Security Area (JSA), the site where diplomatic meetings between the two countries take place. It was a little unsettling as they say the war is not finished, “we are just taking a break” – that is what we were told. Oh goodness! Now that made me a little nervous. Just outside Seoul’s urban sprawl is Bukhansan National Park, a 30-square-mile wooded area with great hiking trails, more than 100 temples, the 300-year-old Bukhansanseong fortress, and three granite mountains. The hike to the top is a steep ascent along a 2-4 mile trail (depending on your route), but the summit is worth the climb, offering views of the city and the surrounding jagged peaks. Hiking is a favorite pastime among Koreans, who turn out for weekend jaunts in brightly colored hiking apparel with multi-course packed lunches, so while you won’t find serenity or solitude on your hike in Bukhansan, you’ll get the chance to participate in the national pastime with groups of avid local hikers. It really is very scenic. Now I know why it’s so popular with the locals. With its enormous marble expanse and imposing facade, the War Memorial of Korea would fit right in on the National Mall in Washington, D.C., offering a solemn tribute to the soldiers and civilians who were killed in the conflict. 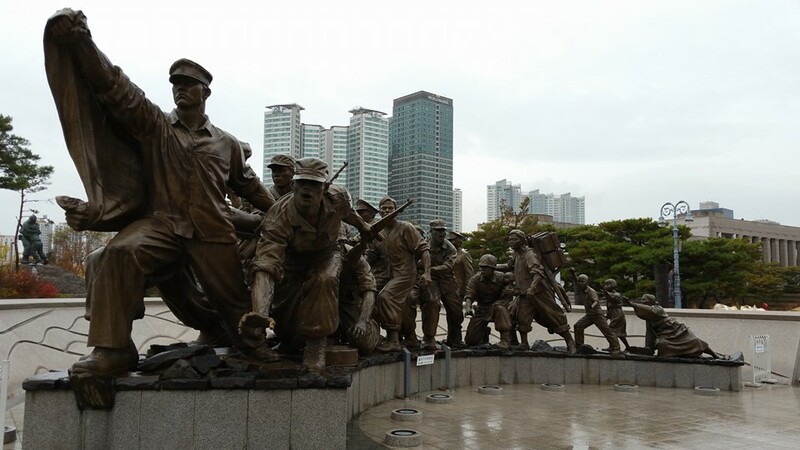 Seoul was an important battleground during the Korean War and the museum, located on the grounds of the former headquarters of the Korean infantry, explores the conflict in detail, as well as providing an overview of Korean history long before the recent war. Outside, you can see fighter jets and heavy artillery used in the war and on the southwest side of the memorial, look for the Statute of the Brothers, a monument expressing hope for a peaceful future and eventual Korean reunification. This memorial is exceptionally well done – but the most impressive thing of all was our middle-school tour guide that was bilingual and an expert on the Korean War. Jogyesa Temple, the headquarters of the Jogye Order of Korean Buddhism, can be found smack in the middle of one of Seoul’s busiest business centers. Though its setting doesn’t sound particularly relaxing, the grounds around the temple offer a pleasant respite from the goings-on of the city beyond its walls. Just outside the main temple building are several 500-year-old trees. Bright colors adorn the buildings, and during the Lotus Lantern Festival thousands of colorful lanterns are strung and it’s quite impressive! A great photo opp. To our surprise. Korea has a huge Christian population. In fact, Christianity is growing faster there than any other place in the world. The Yoido Full Gospel Church in Seoul is the single largest church in the world with 800,000 members. 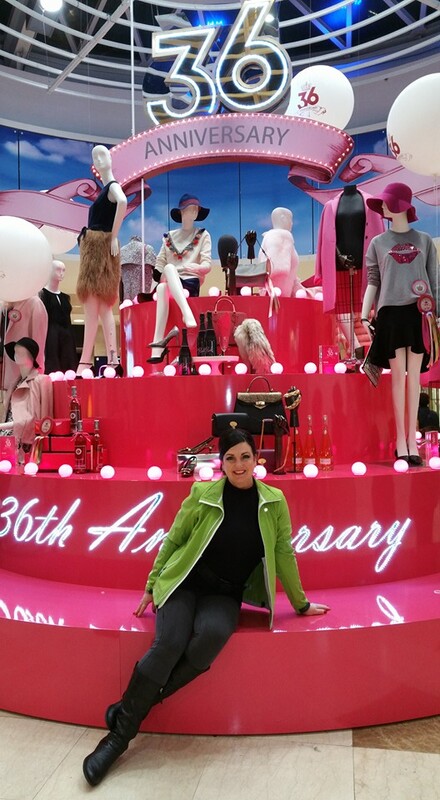 Wow – Shopping is at an entire other level in Seoul. I’ve never seen so much merchandise in my entire life. It’s everywhere. But Soul’s many luxury department stores are a great way to see another side of modern Korea. At Doota!, Western designers are few and far between, with Korean high fashion and ready-to-wear apparel filling the eight-story, glass-encased building. Shinsagae offers a shopping experience on par with Saks Fifth Avenue, but there are plenty of local designers to be found among the big European labels, and the bottom floor food court is arguably the most luxurious cafeteria-style dining option in the world. Insa-dong and Bukchon Hanok Village are the neighborhoods for craft boutiques and souvenir shopping, though the wares are a cut above the usual t-shirt shop offerings. We loved these areas. There’s certainly no shortage of shopping and it never ends. Most places are open and busy well into the morning hours. 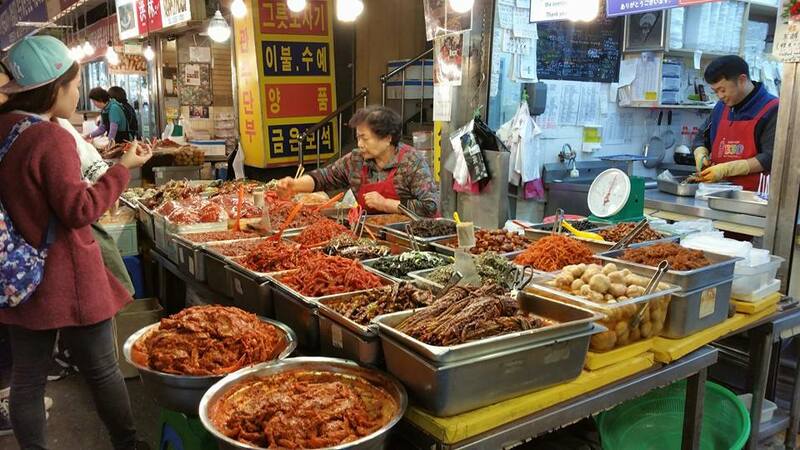 Whatever your budget, you’ll never go hungry in Seoul if you stick to local specialties. The Myeong-dong neighborhood and Namdaemun Market are two good places in the city to try traditional street food, with favorites like spicy rice cakes, fried chicken, Korean porridge, bibimbap (a mixed rice dish), ginseng chicken soup, “egg bread,” various kebabs, sweet Korean pancakes, and for the really adventurous, stewed silkworm larvae or live octopus. Yikes! That’s not for me but no trip to Seoul would be complete without trying the famous bulgogi (barbecued beef) or kimchi (a cabbage dish). There are countless restaurants serving the local specialties all over the city. A must is a traditional Korean Barbecue Restaurant and eating at the markets. They enjoy their dessert, from ice cream and pastries, to Korean favorites like honey bread toast and the ubiquitous shaved ice…which I loved. 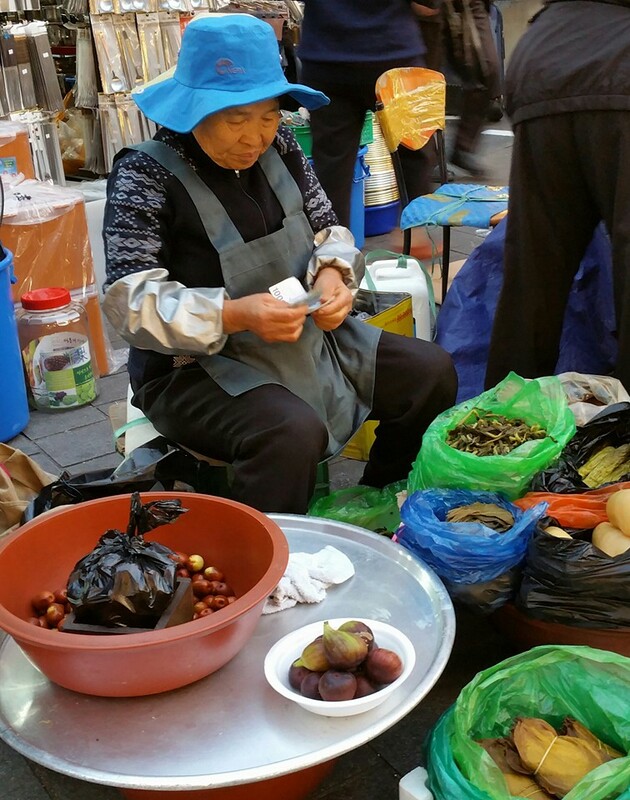 Yes, the food is delicious in Korea and the markets are fascinating and extremely social. It’s a good place to sample everything on your list …and more! I highly recommend putting Seoul on your travel list. It really is a fantastic travel destination! What a great experience. Thank you for sharing. Love it!! !